Bald eagles are back. 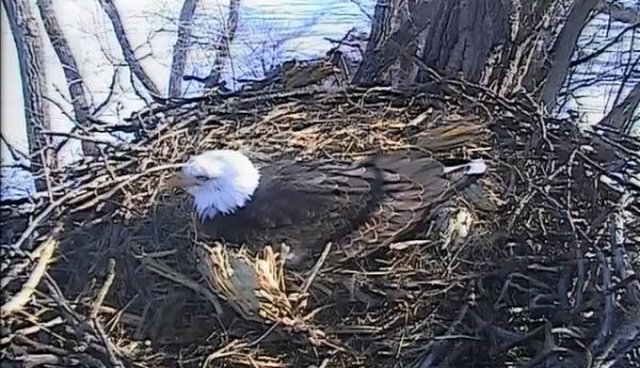 And what better way to celebrate than watching eagles chatter, peal and scream over a brand-new egg? Pesticides like DDT devastated bald eagle populations in the 1970s, and hunting posed a threat the century before that. The birds recently rebounded, however, with an estimated 10,000 pairs around the U.S.
For more bird-of-prey action, check out the other live streams at Raptor Resource Project.